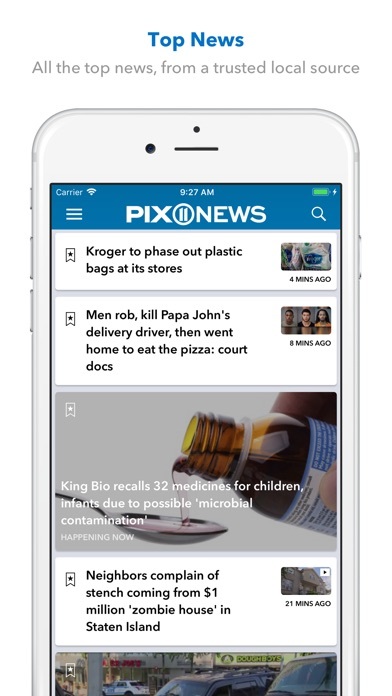 Livestreaming, breaking news notifications, and all the local news you want from PIX11 in a fast, high-performance app. 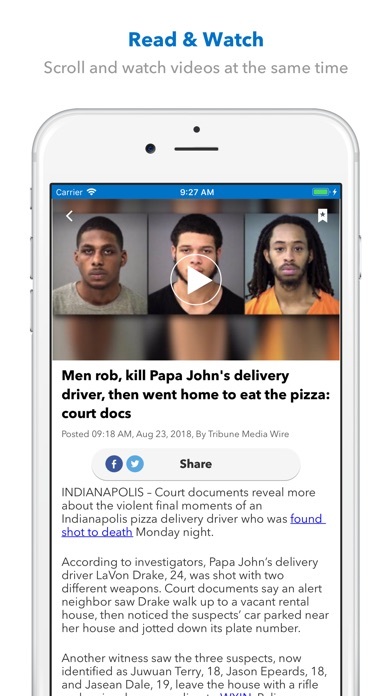 Watch and read stories at the same time -- the video plays as you scroll. Be the first to know with breaking news alerts, and find out what's happening in your area with News Near Me. 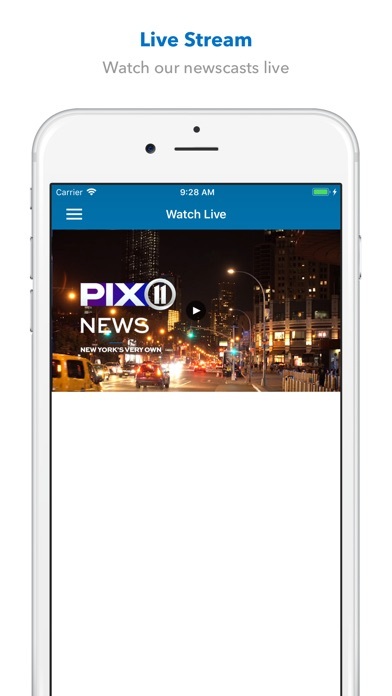 Never miss any PIX11 news - you can livestream our newscasts right from your phone or tablet. Save stories to read later, and share easily to Facebook, Twitter, and other social networks. Get a head start on your day with PIX11 traffic and weather maps. 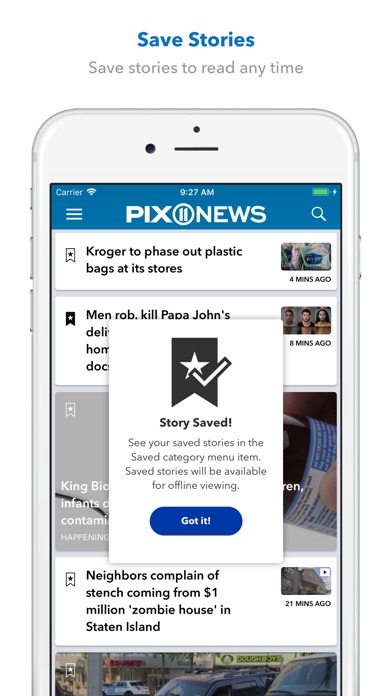 Enter our latest contests and promotions right from your phone, and catch up on all your favorite segments from PIX11. The PIX11 app is great. I can watch live TV on the app, and I can read articles as well. This app has never glitched at all. The app has a lovely layout, much better than the ABC7 News app. Love the cast and the reporters are on point! !Never miss an beat!! Keep up the fantastic work!!!! Moved away from NYC to the Carolinas a year ago but I’m still connected to NYC through my family , friends and WPIX 11 app ,thank you I’m forever grateful for keeping it real. After downloading the latest update I can’t watch the news. I am thankful for the updates. I moved to Pennsylvania from Queens and cannot get New York news, weather and sport updates. I still have plenty of family and friends their. II would like to see channel 11 on tv again. Please don’t change the app it is perfect as is. Why can’t Pix have a functioning app with a live stream? If we are forced to watch sporting events on this channel there should be an app to support it. It’s absurd that you can only see the news on this app. The other networks allow you to watch a live stream with a cable subscription. This is free tv after all, and you can’t even steam it if you have cable. Insane! This app is great for keeping one informed about news, weather and life in the New York metro area. Whether at home or traveling, it’s a great way to stay in the know. Try to catch the Mets game and it will only show me a couple commercials and then a blank screen. Then try to watch the news to see if maybe the feed to the game was down and just more commercials and then “we’ll be right back”. I hope this is just a glitch and not a regular occurrence. FYI I just down loaded the app a half hour ago. So easy to find the news you want. Great live stream. Video doesn’t play at all. Just black still image and/or doesn’t load. Please fix this soon. Every and I mean every morning the application does not work. I delete the App and download the App and the same thing happens every morning the application opens stalls then shuts off. I have no problems with any other app just Pix11. If you need you morning news this is not the app to use. Most the time this app is good the only problem I have is that the video does not show up. It could use some improvement. What happened? Used to be one of best news sites. With last 2 updates, app tries loading and the crashes --- repeatedly !!! Please fix it -- and gain back 5 stars. Great just love it I can be updated to everything that is happening in the city and around the world great app. If you enjoy reading during earthquakes then you will love this app. It refreshes the page while in the middle of the article and you have to scroll back to where you were. I think it's the ads causing that. Stick with the web site your better off. I love this app, besides CNN. This is my only news app and wouldn't change that. Love the app.. great local news but the embedded video files don't play. Embedded Facebook videos do play but the ch11 vids do not. iOS 10.2.1 iPhone 6s Any updates to fix..?? This app used to be great up until the last 2 updates. It now crashes within 5 seconds of going into the app. I am unable to read about any news or watch videos. I have restarted my iPod touch on numerous occasions to see if it will resolve and nope. I then uninstalled and reinstalled several times and nothing. I have the latest iOS software and the latest pix11 app version. I don't know what's causing this issue. Please fix the bugs for iPod touch. I have several news apps on my phone and out of all PIX 11 is the first to update me with news and all current events. Surprisingly, they update me before CNN and other big international news stations. Great job PIX 11! I never miss a story or weather updates! Great app, news updates as they occur. This is Crap!!!!! Constantly crashes!!!! This is the worst app ever!!! It constantly freezes. I'm deleting it!! I don't see how anyone can love this app. Saying you love pix11 news does not mean you love the app. I love pix11 news but the app is total garbage. Never works. Never streams. All these lesser known networks seen to have their perspective apps running great. It's always these big corporations that have the trashiest apps. App stop needs to stop letting apps in the store that don't function as intended. This being one of them. Because if it doesn't matter if the apps not running correct why change it. They gon let it in anyway. 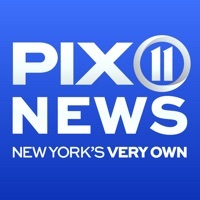 I Love PIX11 news I've been watching for over 20+ years and they just make the day interesting and fun they always give you the best info and advice too!